Each year, the American Psychological Association presents its American Psychology-Law Society (AP-LS) conference to bring together top psychology experts, educators, and researchers with those from the field of law. 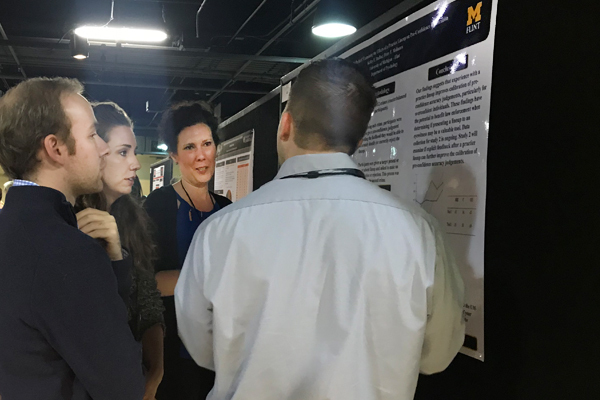 UM-Flint Psychology assistant professor Peter Molinaro, PhD, and several of his research assistants were invited to share their work at the prestigious event. It is an honor, he noted, that is not often extended to undergraduate students. Dr. Molinaro is an experimental psychologist who focuses on applying principles of cognitive and social psychology to legal and forensic contexts. His research involves studying deception, investigative interviewing, eyewitness memory, and lone-offender terrorism. His work has been utilized by law and legal institutions, including the FBI. 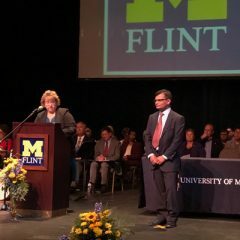 Jacob Champagne, a UM-Flint Psychology Lab Manager and research assistant to Dr. Molinaro, graduated in 2017 with a degree in applied psychology (forensic/legal concentration) and minors in political science and substance abuse treatment/prevention. He expects both his on-campus opportunities and his experience presenting research in a professional setting will be helpful with his eventual graduate school applications. 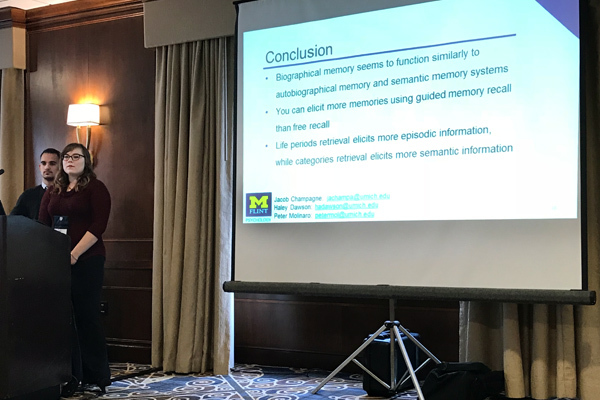 “I was very excited to attend the AP-LS Conference to share our research, expand upon our ideas, and gain new ones,” he added. “Research is ever-changing. This conference is valuable to not only my research now, but in the future.” His colleagues who attended the conference echoed this sentiment, noting the value of interacting with a wide variety of professionals and learning about the latest research in their field. Haley Dawson, a 2017 alumna, graduated with majors in biology and psychology and a minor in gerontology. Her research focuses on eyewitness memory and deception detection. Since then, DuBuc has been focusing her research on pre-identification confidence and its effect, or lack thereof, when viewing a suspect lineup. She hopes her research will find a way to improve the relationship, leading to more accurate outcomes. 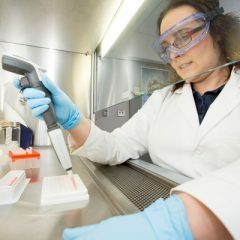 “The research that I help with has real-world implications and the potential opportunity to greatly impact the criminal justice system,” she said. 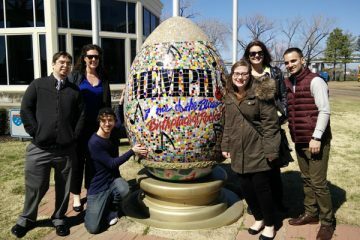 Kevin Michaels, a recent graduate of the UM-Flint psychology research program, presented “Interpretations of Ambiguity” in Memphis. His research considers the influence of situational ambiguity and feelings of “creepiness” on eyewitness memory and accuracy rates of picking suspects from a police lineup. It combines his interest in two previous projects and was born from a brainstorming session with Dr. Molinaro. Each of the research assistants who attended the AP-LS conference were able to do so because of Dr. Molinaro’s guidance in the classroom and in the lab. 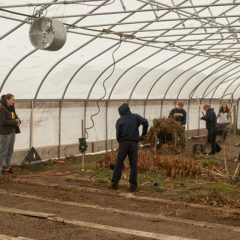 Hands-on research and one-on-one faculty interactions can be rare at the undergraduate level, but both are hallmarks of the UM-Flint student experience.